of apartment blocks and similar property developments. Pick your personal pricing plan ... For the ideal solution to suit your needs! 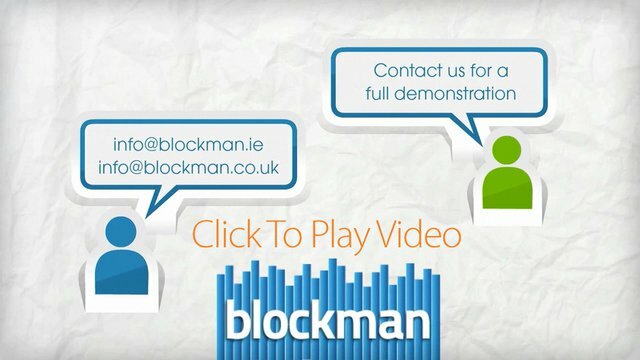 Blockman is web based software using cloud computing technology for agents involved in the management of 'Blocks' of units paying service charges and ground rents such as Residential Estates / Apartment Blocks / RMC's / RTM Companies or other Developments. Property Managers and Managing Agents of apartment blocks and similar developments collect service charges on behalf of the estate and spend those service charges subject to a budget. blockman creates a separate set of accounts for each Block under management and allows the user to charge each unit one or more service charges on an equal basis or percentage basis as per the lease. blockman can also be bundled with a web portal MyBlockman providing secure logins and information for lessees ( unit owners ). Take a look at blockman's add on features for more information. The Deloitte Technology Fast 50 is one of UK's & Ireland's foremost technology award programmes. Now in it's seventeenth successful year, it is a ranking of the country's 50 fastest growing technology companies, based on growth over the last five years. Dedicated service charge accounting software solution. No more spreadsheets or struggling with unsuitable accounting solutions. Cloud Computing. No “IT Guy” required. No additional hardware. You just need an internet connection and you are ready to start using blockman. No large one-off payment. There is an up front payment but far less than legacy systems. We understand client accounts, sinking funds, leases. We will work with you in migrating from a dated legacy system or a manual system and work out a migration plan that best suits you.